Dias Cottage has prepared the option of renting the entire chalet out, which will guarantee you undisturbed privacy and use of the whole premises, which our chalet offers you. With its accommodation capacity of 21 beds, Dias Cottage offers quality accommodation in the Krkonos Mountains for families with children, various camps, company recreation and sports teams. Dias Cottage is proud of the fact that the well-known Czech comedy “Jak vytrhnout velrybě stoličku” (How to pull a whale’s molar out) was filmed here. It is right here, at our place where eight-year old Vasek met the father he had been dreaming about on his winter holiday. Accommodation at our chalet is connected with an endless number of possibilities for leisure time activities. 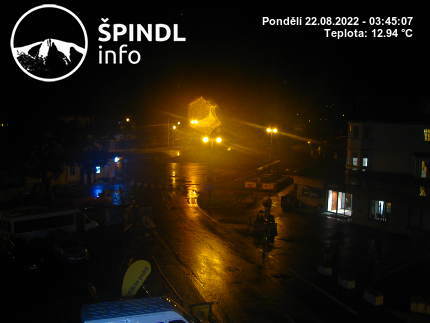 In winter, Spindleruv Mlyn is naturally inviting everyone to winter sports and it attracts visitors year-round for hiking, cycling and adrenaline sports.